Sensory issues are hard for many people to understand. You may not immediately recognize sensory issues in your child, but sensory deficits often lead to behaviors that adults find problematic. For adoptive parents, it can be confusing to recognize sensory issues and not know if they indicate prenatal exposure to drugs or alcohol, lack of stimulation, autism spectrum disorder or something else. According to the most updated version of the Diagnostic and Statistical Manual of Mental Disorders (DSM-5) there is no diagnosis of Sensory Processing Disorder any longer. Whether that diagnosis exists or if treatment is covered by insurance or not, adoptive parents know that meeting their child’s sensory needs can be priceless in the profound impact it can have on their ability to self-regulate, interact with the world,and even function in school. Ultimately the why becomes less important to the goal of doing whatever it takes to help our children be successful. On the other hand, knowing risk factors allows us to be attuned to the potential for deficits in our children (adoptive and biological). Has your child (potentially) faced any of these early risk factors for sensory deficits? Difficult Pregnancy – A pregnancy can be stressful for many reasons; even if a woman loves being pregnant she may be faced with stressors at work or life stressors like a move or job change. Substance use or domestic abuse are the stressors most commonly considered. Poor prenatal care or other health concerns could also fall into this risk factor. Difficult Birth – There are many things that could be included in a difficult birth such as prematurity, low birth weight, Caesarean birth, neurological insult, or brain hemorrhage. Early Hospitalization – Infants that experience a difficult birth or prematurity may have to spend extra time hospitalized. Time spent in the Neonatal Intensive Care Unit or multiple medical procedures in the first few years of life can have an impact on a child’s ability to receive the sensory input needed. 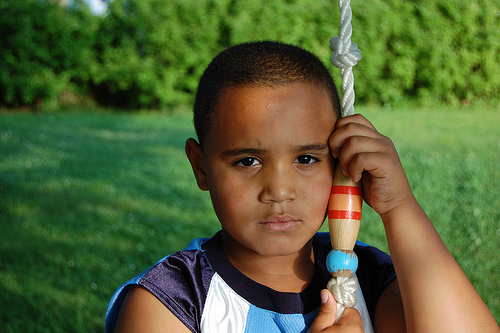 Abuse and Neglect – Abuse can include physical, verbal, emotional, or sexual abuse. Neglect can include the lack of availability of food, water, and other basic needs. Neglect can also cause the child not to receiving the interaction and stimulation needed for sensory and emotional development, even when other needs are met.